Version 3.0 of our Private Notes extension is a major release that will coincide with the release of Awesome Support 5.5.0. It includes three major feature updates which makes this the biggest update this add-on has ever seen! 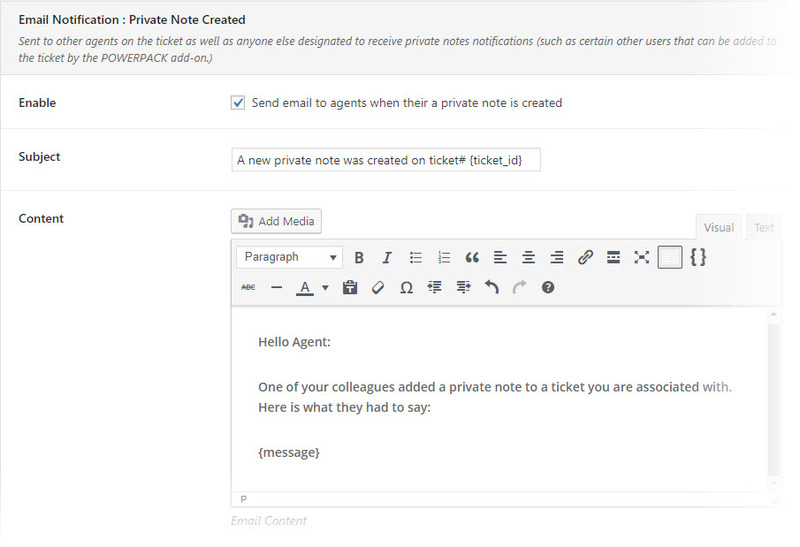 Additionally, if the POWERPACK extension is installed, any additional emails or users associated with the ticket can be designated to receive private notes. 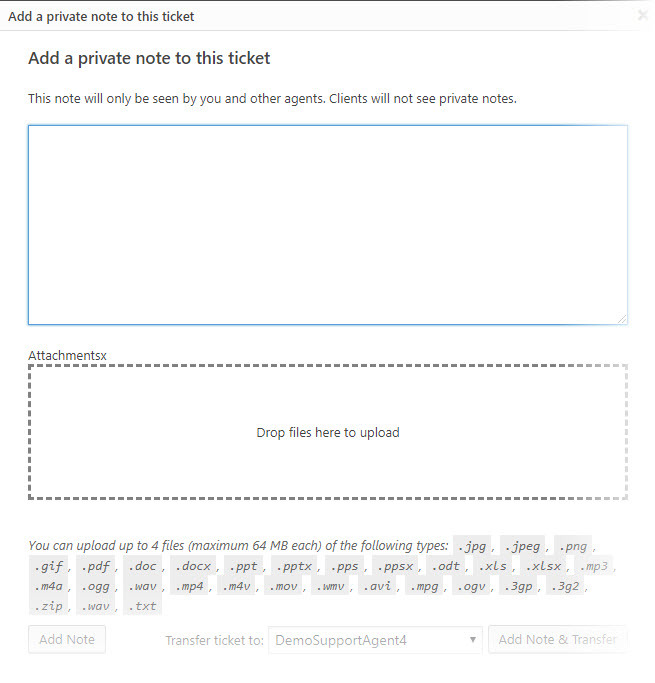 Finally, you can include any other agent who has participated in the ticket in the notifications. So even if an agent was not assigned to the ticket but have contributed either a reply or a private note they can be notified of new notes. As the above image illustrates, admins have a fair degree of control over who gets to delete private notes. 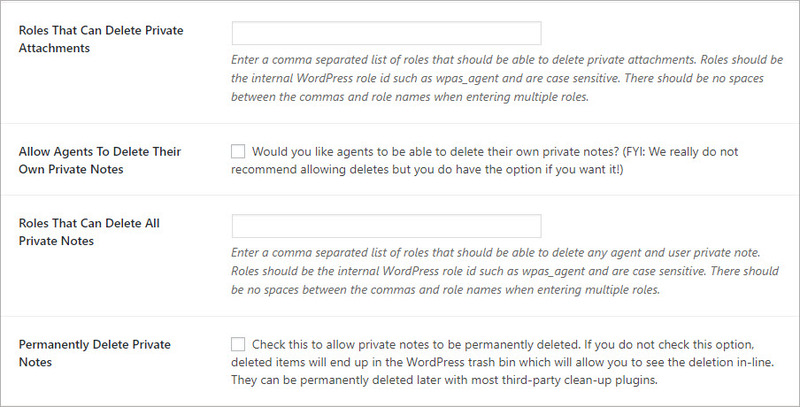 They also get to control whether notes are temporarily trashed or permanently deleted immediately. Bonus Feature: Searching for tickets can also search through private notes! This is a fairly significant update to this add-on and one that we believe every user will benefit from. Licensed users will be able to automatically download the update once Awesome Support Version 5.5.0 is released. 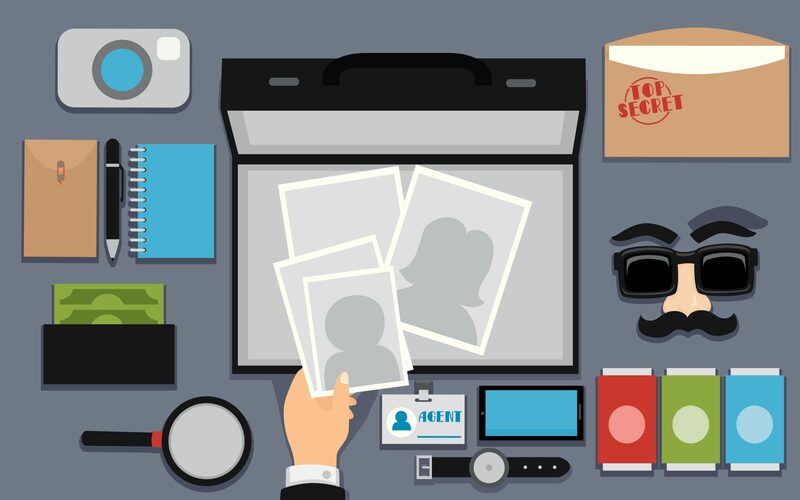 If your license has expired, now is the time to renew it so that you can obtain the benefits of these significant new features.